026 THE TEENAGE MUTANT NINJA TURTLES TURTLE BLIMP — 20th Century Pop! TOYS OF SUMMER: “Hey, whose blimp is that anyways?” (1988) Tim has been a Turtle fan since before they had a theme song. But today he’s dealing in a different kind of green as he places a particular piece of mutagenic memorabilia up on Ebay. Its the Playmates “Turtle Blimp” and he’s monologuing about it in real time … for 45 minutes … apparently. 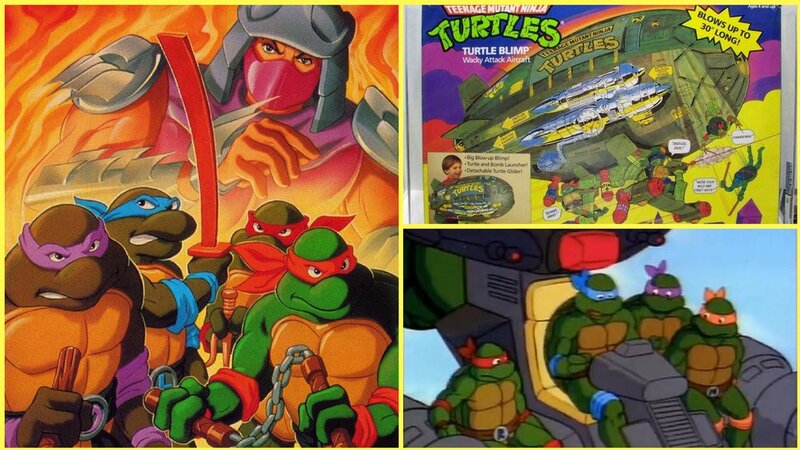 Sing-along like a muscle memory to the original opening theme song to the 1987 TEENAGE MUTANT NINJA TURTLES cartoon HERE. Grab your parents purse and indulge their hard earned savings with these original tv ads for the original Playmates toyline HERE. Witness the thrilling origin story of Donatello’s personal airbag with episode 5 of the original 1987 mini-series HERE. And finally watch the Turtles perform what Warrant only WISHES was their biggest hit HERE. “Fly High Michelle” performed by Enuff Z’nuff fro their self-titled 1989 debut album and accompanying cassingle I first heard it on.